Save $10 by purchasing one of the first 50 tickets to the event! Includes admission into the event custom margarita tastings from the best bars in Chico, tacos, and all night entertainment from the amazing group Decades. And let’s not forget about the hosted beer bar! Includes admission into the event custom margarita tastings from the best bars in Chico, tacos, and all night entertainment from the amazing group Decades. And let’s not forget about the hosted beer bar! 2 Vip Tickets for you and your guest. 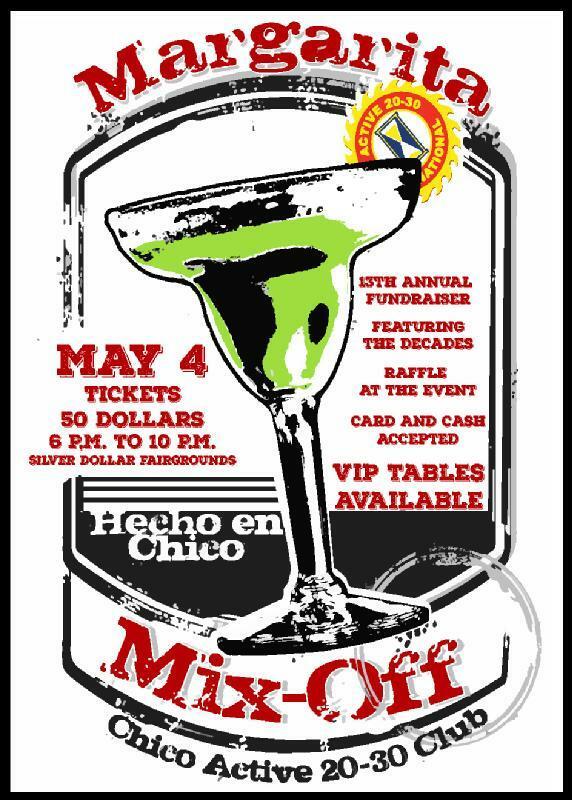 This includes early entry at 5:30 pm day of event, designated seating in our elite VIP section, custom margarita tastings from the best bars in Chico, tacos, and all night entertainment from the amazing group Decades. And let’s not forget about the hosted beer bar! This is for 1 full table, 8 seats. 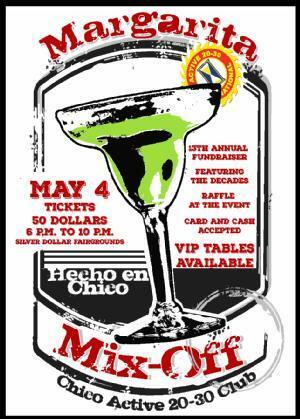 This includes early entry at 5:30 pm day of event, designated seating in our elite VIP section, custom margarita tastings from the best bars in Chico, tacos, and all night entertainment from the amazing group Decades. And let’s not forget about the hosted beer bar! The 13th Annual Margarita Mix-Off is scheduled for May 4th, 2019! This is a strictly 21+ event. It will be hosted at the Silver Dollar Fairgrounds in the Commercial Building. Signs will be posted to help you find the event, and after the event a free shuttle service will be provided to downtown Chico. Please do not drink and drive! This year we have some very special plans for the city we love, and we are on track to host the biggest and best Margarita Mix-Off in California! Tickets for the event are all inclusive. There will be custom margarita tastings from the best bars in Chico, tacos, and all night entertainment from the amazing group Decades. And let’s not forget about the hosted beer bar! Not only will this event be a good time, but funds raised here will help special needs children in the local community via the numerous charitable activities organized by the Active 20-30 Club throughout the year. We will be selling raffle tickets for a variety of prizes and promoting our “Adopt a Kid” campaign, in which you can sponsor a child in need with back to school shopping in August. So come ready to help! This is the driving purpose of this amazing event! We do have limited capacity in the building, so get your tickets before they are sold out! If you are a local restaurant and would like to participate, or a local business and you are interested in sponsorship opportunities, please email active2030chico@gmail.com with your contact information and we will get an information packet to you as soon as possible. To find out more about the Active 20-30 Club, please visit our Chico website (www.chico2030.org), our facebook page, or our national website (www.active20-30.com).